When Lizette Munoz arrived at IU Bloomington in the Fall 2015 semester, she had a leg up on most of her fellow freshmen. Not only did the Whiting, Indiana, native have a family connection to the university—her older brother, Alejandro, was a 2015 graduate—she was a participant in IU’s Balfour Scholars Program, and prior to her senior year of high school, spent a week on campus as part of the Balfour Pre-College Academy, which is operated through IU’s School of Education’s P-16 program and directed by Dr. Christina Wright-Fields. From the outset of her time at IU, Munoz took part in an array of programs through the Office of the Vice President for Diversity, Equity, and Multicultural Affairs (OVPDEMA)—the 21st Century Scholars Program, the Groups Scholars Program, and the Hudson & Holland Scholars Program—in addition to Hutton Honors College. She’s an outstanding person, very well-organized, motivated, and coachable. Being open-minded to all possibilities that are available really helps. But perhaps Munoz’s most meaningful experience through OVPDEMA has been her involvement with the peer-mentoring program Faculty and Staff for Student Excellence (FASE). 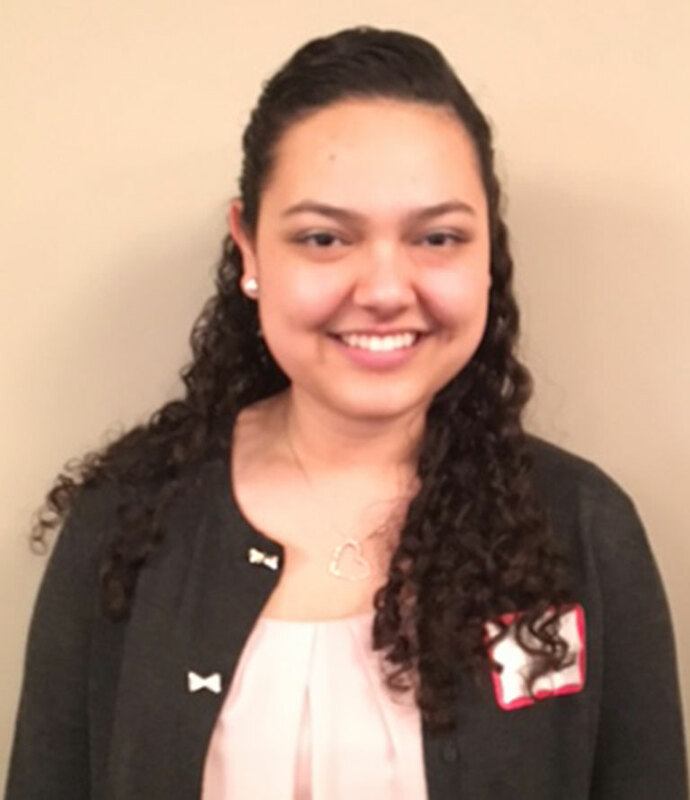 As a freshman, Munoz was a FASE protégé and participated in yet another OVPDEMA initiative, the Mentor Apprenticeship Program (MAP), further developing leadership skills that will serve her well at IU and beyond. Another reason her transition from high school in small-town Northwest Indiana to a massive college campus was relatively seamless? The programs Munoz was a part of made her feel like she truly belonged to something. Now, as a sophomore, Munoz is a FASE peer mentor and a MAP co-coordinator herself, building on the training she’s received through the programs, which are divisions of the Office of Mentoring Services and Leadership Development, a unit of OVPDEMA. 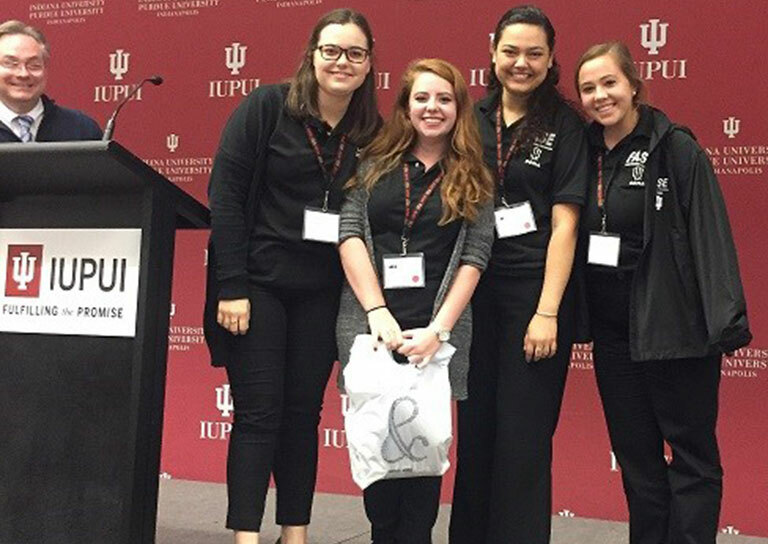 Recently, Munoz and a team of three other FASE mentors—including Hanah Casey, Munoz’s freshman-year FASE mentor—traveled to Indianapolis for IUPUI’s National Mentoring Symposium. For the second consecutive year, FASE, representing IU Bloomington, won the award for the top poster at the conference. Competing in a field of 456 students, FASE’s poster was voted the best by a committee of their peers, an acknowledgement Office of Mentoring Services and Leadership Development Executive Director Patrick Smith finds quite significant. FASE continues to expand—new offerings include Faculty Mentoring Initiatives and the Campus Mentoring Collaborative, which connects colleagues on campus with existing mentoring programs in an effort to pool resources—while remaining focused on positively guiding students and even partnering with other programs to increase student success. Munoz embodies the collaboration between different units, as Balfour and FASE developed a mentoring pipeline for Balfour Scholars who come to IU and have interest in leadership opportunities.